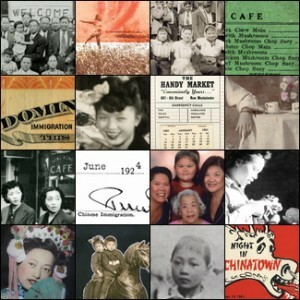 Chinese Canadian Women 1923-1967: Inspiration – Innovation – Ingenuity, a MHSO website launched in March 2011, features resources designed to facilitate teachers’ use of the website in the classroom. These resources include a teacher’s guide, and four lesson plans and two historical exercises with handouts and associated digital content (oral history interview clips and historical photographs). Appropriate grade levels and course links are indicated. The lesson plans are entitled Insider and Outsider Perspectives: Cantonese Opera in Canada, 1920-1960; Stories of Citizenship: Using Oral History to Understand the Past; “Every person of Chinese origin or descent …”: Anti-Chinese Immigration Laws in Canada, 1885-1967; and Community Involvement, Then and Now. The historical exercises are Working with Oral History and Working with Photographs. The overall objective of the plans and exercises is to help students develop historical literacy. They provide opportunities, through engagement with primary source materials, to deepen students’ understanding of the experiences of Chinese Canadian women during a period of closed and then restricted immigration to Canada.